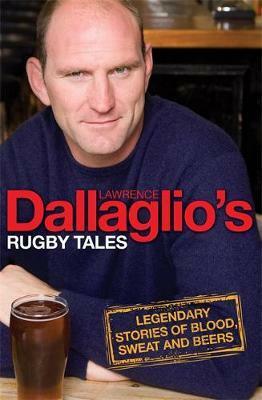 In RUGBY TALES, Lawrence Dallaglio recalls with affection and razor-sharp humour, the behind-the-scenes stories that have previously only been shared within the world of international rugby, together with some classics from his rugby-playing colleagues and mates. There's the one about the 2003 World Cup winner who curtseyed to the queen and another featuring the rugby legend who was affronted by the suggestion that he had been out on the town until 3 a.m. days before a crucial match. 'Don't you look at me,' he cried indignantly, 'I got in at six.' Featuring big games, bigger personalities, quick-fire banter and the odd pint or two, these are the best of the best from the legends of the dressing room, pitch and pub. Lawrence Dallaglio has been a Wasps player all his club career, signing in 1990 and becoming captain in 1995 for 12 years until his retirement in 2008. He has won a hat-trick of Premiership titles, two Heineken Cups and was also a member of the triumphant England Sevens team which won the World Cup at Murrayfield in 1993. He has captained his country and is regarded as one of the worlds greatest ever back-row forwards - he was the only player to play in every minute of every match during the victorious 2003 World Cup campaign. He has won 85 caps for England and 3 Lions caps.